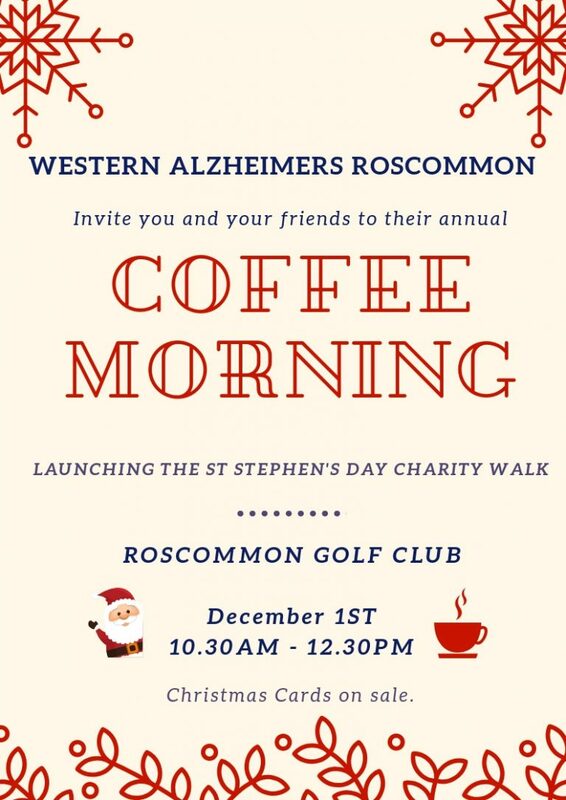 Western Alzheimers Roscommom invite you and your friends to their annual coffee morning at Roscommon Golf Club, in aid of Western Alzheimers. 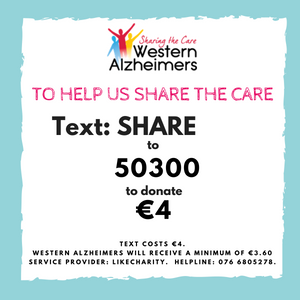 This will mark the launch of their St Stephen’s Day Charity walk. Come along to find out more and enjoy some coffee and treats. Christmas cards also on sale on the day. Hope to see you there!